Yesterday, version 2.0.0 of the Skype iPhone app was released. The new version adds the ability to make calls over the 3G mobile telephone network. Mac Rumors and TUAW pointed out that Skype plans to begin charging a monthly fee for this service sometime later this year. When Skype will begin to charge for the service is not clear: the pop-up message that appears in the app indicates August 2010; the Skype page at the App Store indicates the end of 2010. What is clear is that at some point in the coming months, it will become necessary to pay a monthly fee to Skype if you want to use the iPhone version of Skype to make calls over the mobile phone network. Mind you, this fee does not cover calls to ordinary telephones or mobile phones; for that, you’ll have to pay additional fees. The monthly fee we’re talking about here is just for the privilege of using the Skype iPhone app to make calls—even Skype-to-Skype calls—over the 3G network. Skype-to-Skype calls made from the iPhone app will continue to be free when made over WiFi networks. Presumably such calls will also be free when made from the Mac or Windows version of Skype. What’s really interesting is the way Skype is hoping to earn money here. Skype is not really talking about charging for using the 3G network per se; instead, Skype is talking about charging for that subset of calls made from the Skype iPhone App. Many laptop users get their internet connectivity via the mobile telephone network, using a 3G USB dongle, or a built-in 3G transceiver in their laptop. In many places it’s also possible to connect your iPhone to your Mac or PC, enable tethering, and share the iPhone’s internet connection with your computer. In this way it is possible to make free Skype-to-Skype calls over the 3G network from the Skype application running on your computer. Skype is not talking about charging these Mac & PC users for ordinary Skype-to-Skype calls. However, the exact same calls made from the iPhone will soon require payment of a monthly fee. Skype seems to be betting that users will gladly pay a fee for the convenience of calling from the iPhone version of the program. Who must pay for Skype-to-Skype calls? This strategy is similar to Apple’s approach to QuickTime Pro upgrades: the user pays for convenience, not additional features. An argument can be made that it shouldn’t matter what the underlying network is. Each user pays for his or her own network connection, and I think Skype is going to have a challenge on their hands explaining why users should have to pay when a call is made over one network, but not another. After all, Skype doesn’t pay more to handle calls originating from 3G networks. And as mobile networks become faster and more widespread, a growing percentage of users will be doing more of their work on these networks. Users accustomed to making free Skype-to-Skype calls may be reluctant to begin paying just because they have switched networks. Skype is clearly hoping to get users accustomed to paying for Skype-to-Skype calls, and believes that 3G calls in the Skype iPhone app represent a good point at which to begin that process. Some iPhone users have been making calls over the 3G network for more than a year. There exists software that tricks the iPhone into thinking it’s on a Wi-Fi network, even when it’s actually just connected via 3G. There are several programs that accomplish this feat. Some cost money; VoIPover3G is free. Installing these programs requires jailbreaking the iPhone—essentially removing Apple’s iTunes/App Store lock-in and enabling the installation of applications not approved by Apple. Jailbreaking has often been a complicated affair requiring some technical skill and no small amount of patience. However, the task has recently become much simpler, thanks to the Spirit application. It is likely that the speed and simplicity of the Spirit jailbreak will result in many more users choosing to jailbreak their iPhones. For the past year or so, Skype on the iPhone has been able to detect when it it running on jailbroken iPhone. 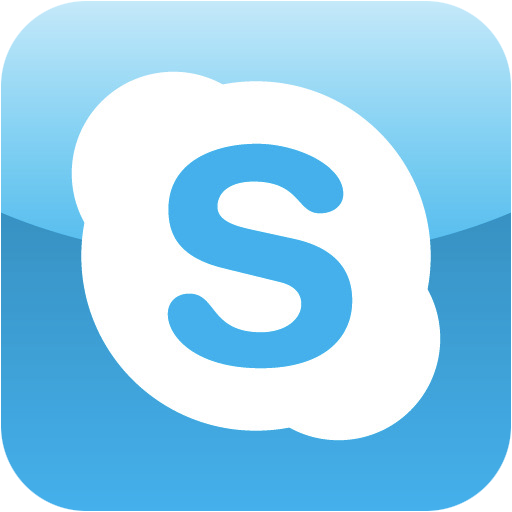 The first time a user runs Skype on a modified iPhone, the program displays a warning message stating that Skype is supported only on unmodified iPhones. The program continues to function normally though, happily making Skype-to-Skype calls over the 3G network. Version 2.0.0 of the Skype iPhone app does not noticeably change this. An unanswered question is whether this will change later in the year. Skype runs but detects the presence of the hack, and does not make calls without payment. An arms race could develop between Skype and the iPhone hacker community, with hackers finding new ways to fool the program into thinking it’s running on Wi-Fi, and Skype trying to detect the presence of such hacks. It’ll be interesting to watch how this develops.